Remember how I mentioned that people love to tell me where I must eat when I travel? 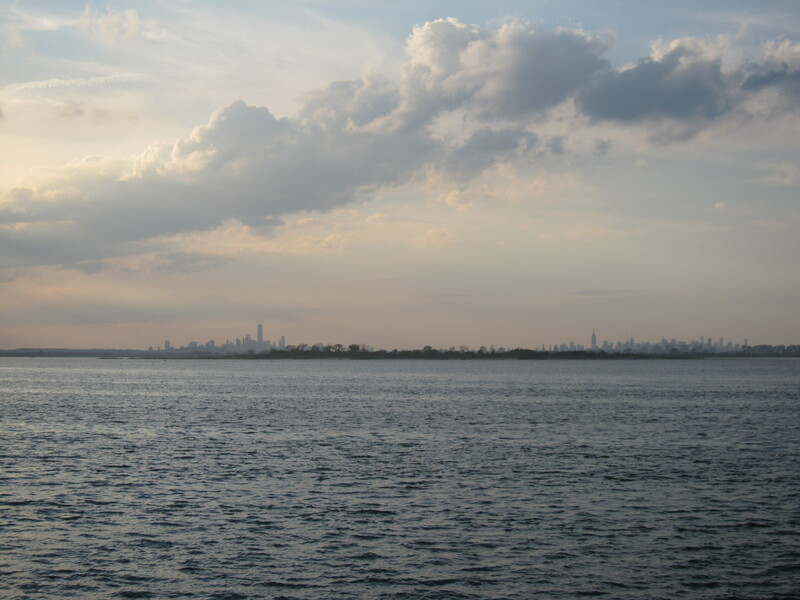 Well, The Wharf in New York‘s Rockaway Beach is certainly not one of those places. Check it out, yes — I definitely heard that. With its outdoor dining deck with sweeping views of the water and Manhattan’s skyline in the distance, The Wharf’s vista for a sunset cocktail can’t be beat. But eat? We had read and heard enough about the food to know there were probably better restaurants in Rockaway Beach. 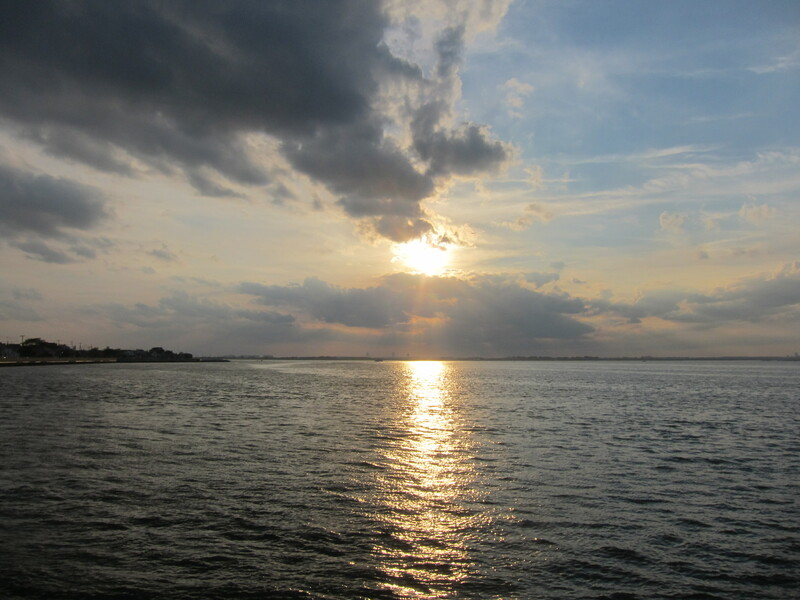 Even so, on a recent evening, as our cocktails on that famous deck were disappearing, the vaunted view was nudging us to stay. 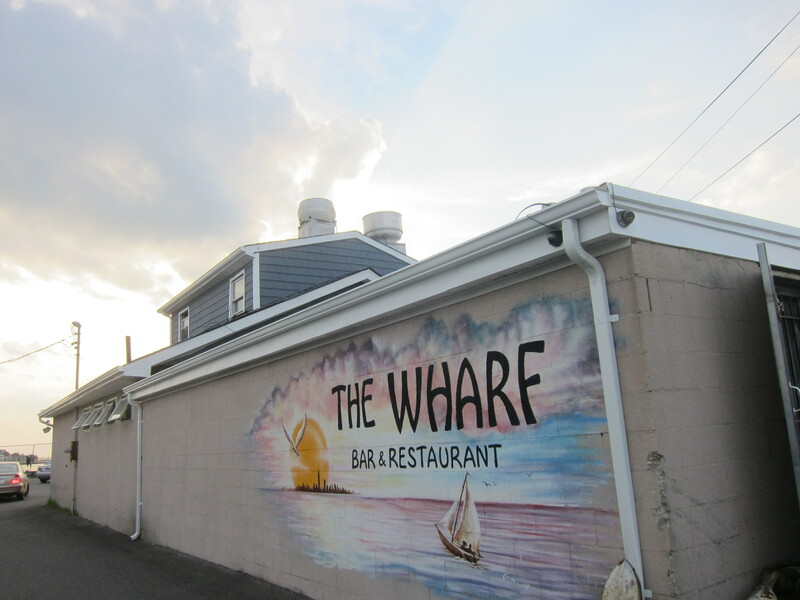 Now, if you’re going to try The Wharf for dinner, I suggest getting there as early as you can from 6 p.m. on. As you inch closer to sunset, the place gets packed. The menu is a basic one, filled with fish, steaks, pastas, burgers and a host of sandwiches and salads. As tempting as some of it sounded, when you’ve been warned about the food, the less adventurous you get, the better it is, I find. 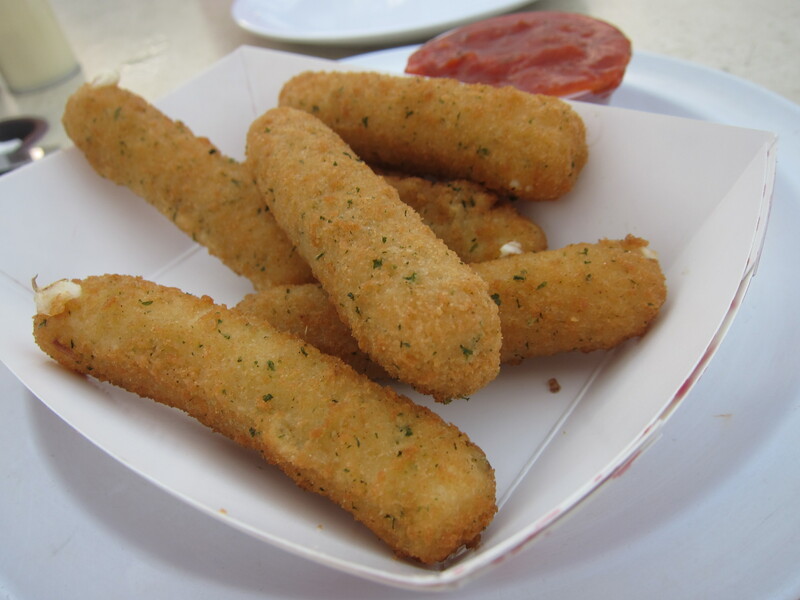 So we started safe, splitting an order of quintessential bar food: Mozzarella sticks. These came hot, crispy and were perfectly pedestrian — nothing unusual, which was good. 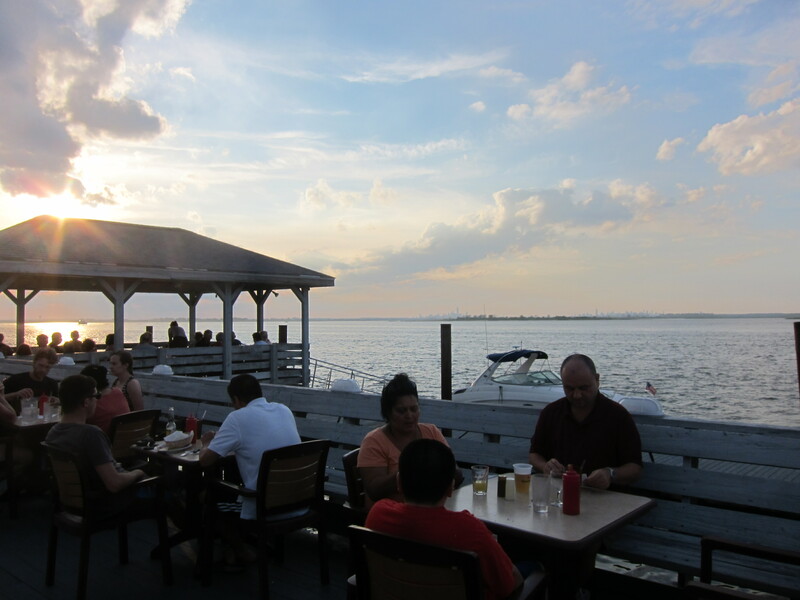 The sun was really putting on a show for us now, so we decided to chance it with more food. 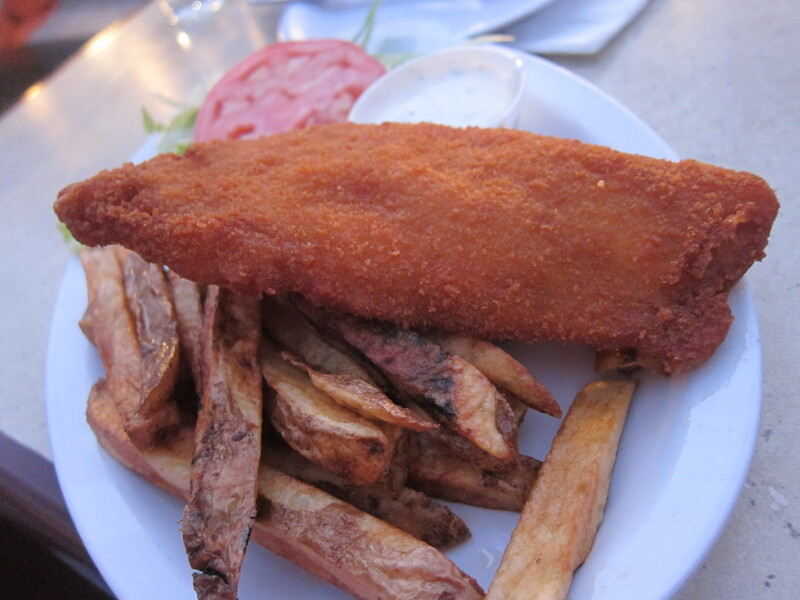 Fish and chips seemed basic enough — and it certainly was. The fries were fine and the fish — though a little thin and bland for my taste — came hot and crispy, which was all I had expected, really. 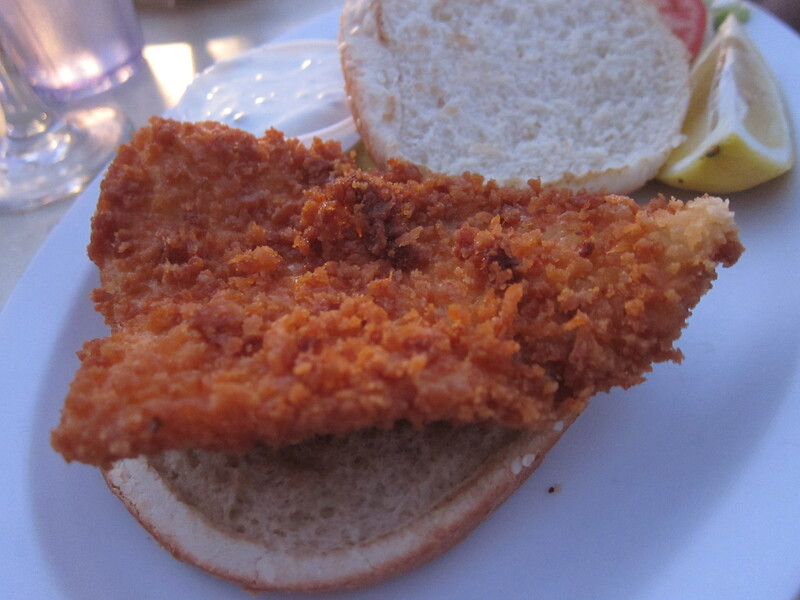 The “fish on a bun” sandwich, however, was a pleasant surprise — the fish was nicely fried, with a juicy flaky center, giving it no hint at all of having once been frozen. Our meal worked out so nicely — and didn’t inflict us with any ailments overnight — that we decided to head back for brunch the next day. 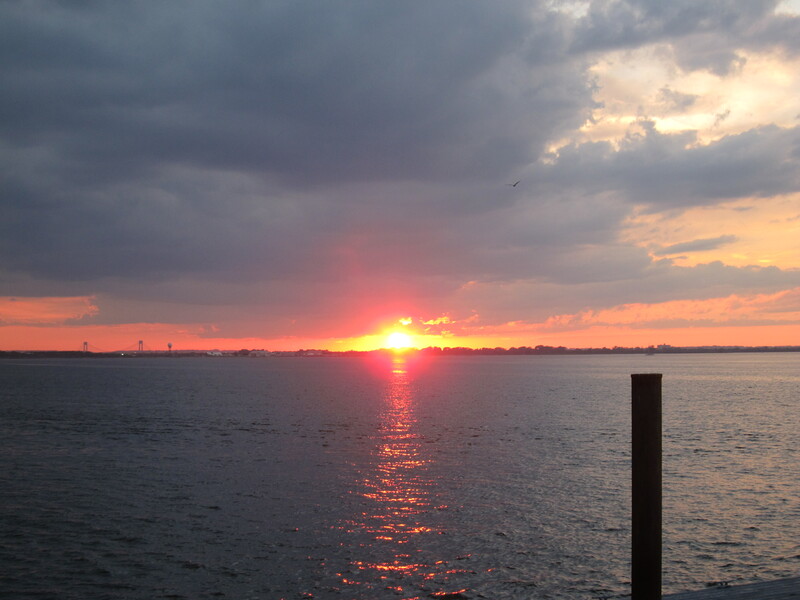 The view’s the thing at the beach after all — so, why not? Weekend brunch turned out to be a lovely deal — for the price of the dish, you got coffee or tea, toast and either a Bloody Mary, Screwdriver or Mimosa. Not bad at all. 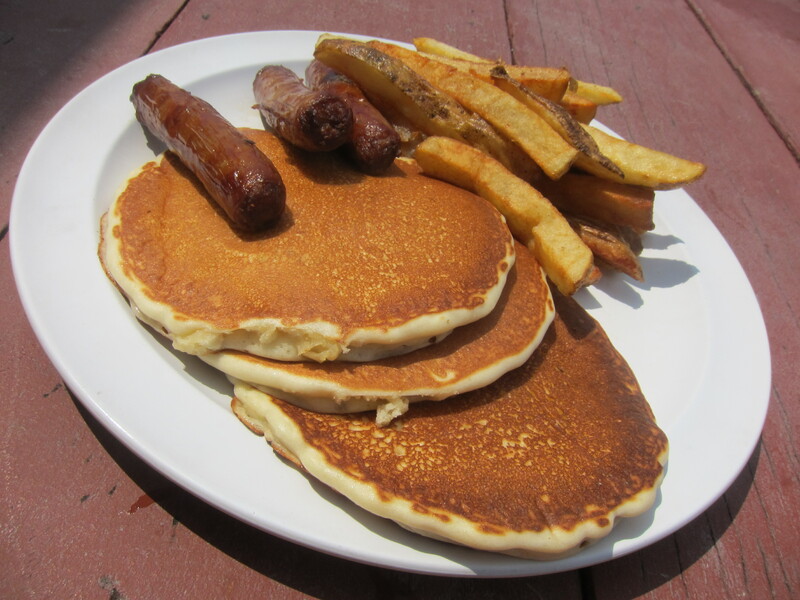 Especially since this perfectly decent platter of pancakes and sausages with fries only cost $8.95. 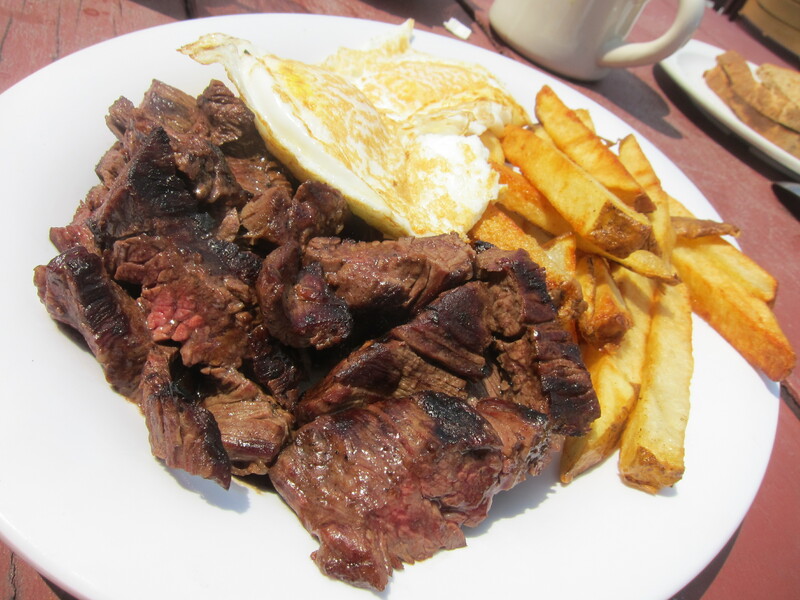 My massive pile of steak and eggs was a little pricier — $12.95 — but it was still a great price, all things considered. Next time, I might even get more adventurous and order a grilled cheese.